The business was incepted by the renowned social activist Late Mr. Damodarji Malpani who astutely followed the principle of Karma as defined in the Shrimad Bhagavad Gita and the brand and its cynosures still adhere to the same that has made them attain the pinnacle of success. The group has successfully endeavoured in the fraternity of Real Estate with the various commercial and residential projects in the locations of Pune and Nasik under the astute leadership of Mr. Ashish Malpani, Mr. Rajesh Malpani, Dr. Sanjay Malpani, Mr. Manish Malpani, and Mr. Girish Malpani following the core values inherited by their ancestors. 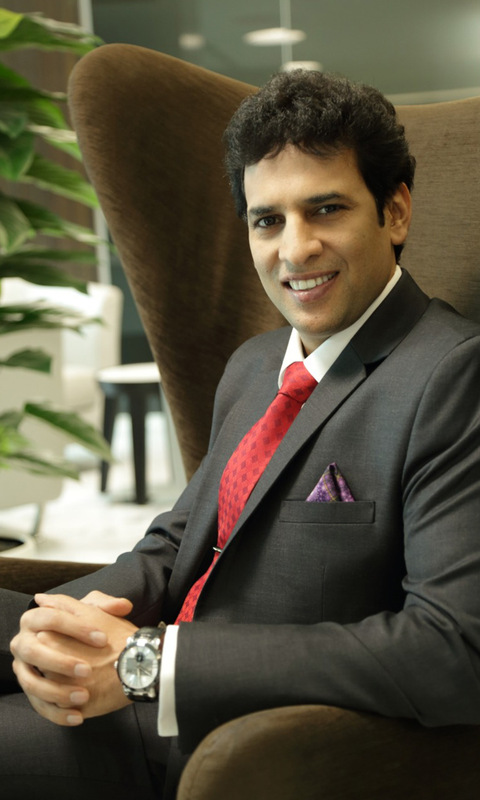 Mr. Ashish Madhav Malpani is the youngest director of Malpani Group, Sangamner. Malpani Group ventured into Real Estate industry in 2005 under the able leadership of Shri. Ashish Malpani, who has a Master’s Degree in Marketing and International Business from the University of Queensland, Australia. Ashish Malpani is a young dynamic personality is an avid reader, a fitness enthusiast, and a passionate developer. He is known to take challenges head on! He has to his credit very prestigious accreditation like Crisil 6 star rating for his second project ‘Malpani Greens’. It has also bagged three prestigious awards for ‘Best Concrete Structure’ (2015), ‘Best Landscape’ & Best Housing Project in Wakad’ from Shri. DevendrajiFadnavis, Chief Minister of Maharashtra. Malpani Group has committed itself to deliver exceptional construction quality, thoughtful spaces, outstanding customer services and transparency in its dealing. Malpani group’s success doesn’t just remain limited to commerce. The group is equally committed to the society and involves in a wide range of social activities like mass weddings, blood collection camps, city clean-up drives, Health checkup Camps, Free water distribution drives, Tree Plantation to name a few. Quality is not just one of the prime fundamental of our brand but is our attitude and is evident in each of our business operations right from the construction techniques to the customer service experience. Authentic Workmanship is the first and foremost order of our construction practices and methodologies for which we appoint best and experienced contractors ensuring the long lasting life of the projects. Customer Delight is one of the most significant aim and beauty of our brand that has garnered us all the fame and success as customers are our best brand ambassadors. With every business practise, we keep our customers at the focal point maintaining high level of transparent and fair dealings. Change is the only constant facet and is inevitable. With the evolving times and business dynamics, we embrace change with the open arms and march ahead with the modern technological advancements in terms of the construction technologies, promotional activities, and customer service experience leaving no stone unturned to offer the best lifestyle amenities and facilities to our esteemed customers. Lifestyle is one of the elements that our present in each of our realty creations. Thinking beyond the concepts of brick and mortar, it is the constant enterprise of our brand to provide the best and finest of lifestyle experiences to our customers with the state-of-the-art amenities and facilities. Location is the strategic key to the success of Real Estate and we live by this fundamental to the core. All our projects are strategically located with the proximity to well placed infrastructure facilities and with the advantage of price appreciation. Following the strong legacy and footsteps of the Malpani Group, Malpani Estates has a simple yet powerful vision of developing state-of-the-art realty projects that are sure to be the landmarks in future. The group lays strong emphasis on presenting the wide variety of options to the customers following the transparent, ethical, and quality construction practices ensuring the finest of customer satisfaction and happiness. To constantly and continuously elevate the lifestyle of residents in our operations markets especially the rural areas through professional, material, and spiritual advancements and lifestyle facilities and amenities.